Hey, which way to summer school? Maybe you like spending summer days at the beach. Or, if you’re like me, you watch the clouds roll by from a hammock. Fortunately, you can enjoy the surf and hammock swinging and make progress on your freelance writing as long as your summer plans are connected via WiFi. One week from today I launch my first-ever month-long Summer School for Freelance Journalists and it will be held entirely online. 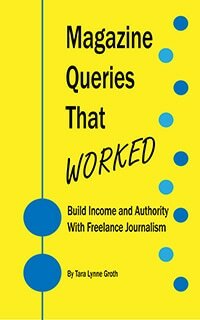 We’ll go over the basics of journalism: the query writing, pitching, interviewing, and delivering processes. Contemporary issues, such as case law and contract clauses that affect freelancers, as well as long-time matters about getting paid will be covered. We’ll spend a week dedicated to the craft of query letter writing. The class is held entirely through a forum so you can read and respond to lessons however fits your schedule. Two lessons and two ‘homework’ assignments will be posted each Monday on alternating weeks. Class fee also includes a personalized query letter critique, suggestions for appropriate markets, and a copy of my book Magazine Queries That Worked. Weeks 1-2: Nuts and Bolts of Freelance Journalism. Learn the submission process for writing for magazines, what to look for and question in contracts, and where to find editor contact information. This will help you decide the types of articles you want to pursue. Weeks 3-4: Queries and Pitching. The query letter must hook the editor. What’s your hook and is it relevant? We’ll explore the structure of successful query letters and how to customize letters so that they are unique to each market you pitch. Share your article ideas and receive feedback from the instructor and the class. Receive a query letter critique and submit your pitch to at least one market. Make some progress on your article writing or get started for the first time. Hope you can join me! Register for Summer School for Freelance Journalists.